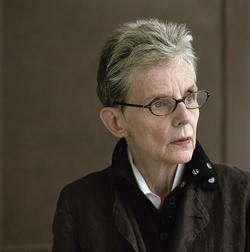 Susan Howe has been named the 2011 winner of Yale University’s Bollingen Prize in American Poetry. Born in 1937 in Boston, Massachusetts, Susan Howe is the author of numerous previous volumes of poetry, including The Midnight (2003), Kidnapped (2002), Pierce-Arrow (1999), Frame Structures: Early Poems 1974-1979 (1996), The Nonconformist’s Memorial (1993), The Europe of Trusts: Selected Poems (1990), and Singularities (1990). Howe is also the author of two books of criticism: The Birth-Mark: Unsettling the Wilderness in American Literary History (1993), named “International Book of the Year” by the Times Literary Supplement, and My Emily Dickinson (1985). Susan Howe was elected a member of the American Academy of Arts and Sciences in 1999 and a Chancellor of The Academy of American Poets in 2000; she has been a fellow at The American Academy in Berlin and a distinguished fellow at the Stanford Institute of the Humanities. She held the Samuel P. Capen Chair of Poetry and the Humanities at the State University of New York at Buffalo, and has recently taught at Princeton, University of Chicago, University of Utah, and Wesleyan University. The Bollingen Prize in American Poetry, established by Paul Mellon in 1949, is awarded biennially by the Yale University Library to an American poet for the best book published during the previous two years or for lifetime achievement in poetry. From its controversial beginnings in 1948, when the Fellows in American Letters of the Library of Congress awarded the prize to Ezra Pound for The Pisan Cantos, the Bollingen Prize has honored the literary accomplishments of poets whose work continues to define modern American literature. The prize includes a cash award of $100,000. Among the most prestigious prizes available to American writers, the Bollingen Prize for Poetry has been a force in shaping contemporary American letters. Early Bollingen Prize winners—Ezra Pound, Wallace Stevens, Marianne Moore, E.E. Cummings—are today widely considered to be writers whose work defined a new American literature of the twentieth century. More recent winners—John Ashbery, Robert Creeley, Louise Glück, Anthony Hecht, John Hollander, Gary Snyder, Jay Wright, and Adrienne Rich—represent exciting stylistic diversity in American writing. Throughout its history, the Bollingen Prize for Poetry has recognized and celebrated the very best in American poetry. This year’s judges were poet Peter Gizzi, literary critic Marjorie Perloff, and poet and playwright Claudia Rankine. Peter Gizzi is the author of numerous collections of poetry, including most recently The Outernationale; Professor of English at the University of Massachusetts, Amherst, Gizzi is currently The Judith E. Wilson Visiting Fellow in Poetry at Cambridge University. Marjorie Perloff is the author of nearly twenty books about modern and contemporary poetry, including most recently Unoriginal Genius: Poetry by Other Means in the New Century. She is Professor Emerita of English at Stanford University and currently Scholar-in-Residence at the University of Southern California. Claudia Rankine is the author of several collections of poetry, including Don’t Let Me Be Lonely: An American Lyric. Her play, The Provenance of Beauty: A South Bronx Travelogue, is a 2011 Distinguished Development Project Selection in the American Voices New Play Institute at Arena Stage. She is currently the Henry G. Lee Professor of Poetry at Pomona College. Writer and psychoanalyst Adam Phillips is the author of more than ten books, including Side Effects; On Terrors and Experts; Promises, Promises: Essays on Poetry and Psychoanalysis; and On Kissing, Tickling, and Being Bored: Psychoanalytic Essays on the Unexamined Life. He is a frequent contributor to The New York Times, the London Review of Books, and The Observer. Dr. Phillips is the general editor of the Penguin Classics Freud series; he is currently at work on a new biography of Sigmund Freud to be published in the Yale University Press Jewish Lives Series. Image: Hans Casparius, [Photograph of Sigmund Freud with two Chow dogs], no date. From the H. D. Papers. The Beinecke Library is pleased to announce an iPad installation of film clips highlighting writers, artists, and works featured in the current exhibition Psyche & Muse: Creative Entanglements with the Science of the Soul. 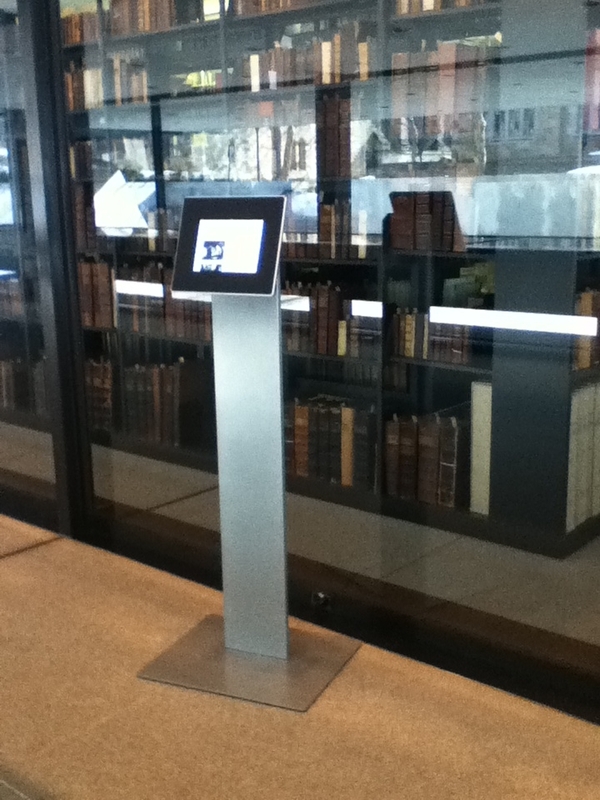 Located on the ground floor of the Library, the installation includes archive materials from the Beinecke collections such as: home movie footage of Gertrude Stein and Alice B. Toklas from the Stein-Toklas Papers (Watch: Home movie of Gertrude Stein and Alice B. Toklas (France, )); Richard Wright screen tests for the role of Bigger in Native Son from the Richard Wright Papers (Watch: Richard Wright’s Screen test for Native Son); and a recently discovered silent film, Monkey’s Moon, produced in 1929 by Pool Films, the film production company of writers Kenneth Macpherson, Bryher, and poet H. D. (Hilda Doolittle) (Watch: Pool Productions film Monkey’s Moon, 1929). Addition film clips include Freud family home movies from the Library of Congress and an interview with C. G. Jung. Examples of exhibition-related popular films are also included, such as the 1962 film of Eugene O’Neill’s Long Day’s Journey into Night and the film version of Moss Hart’s musical about psychoanalysis, Lady in the Dark, starring Ginger Rogers.